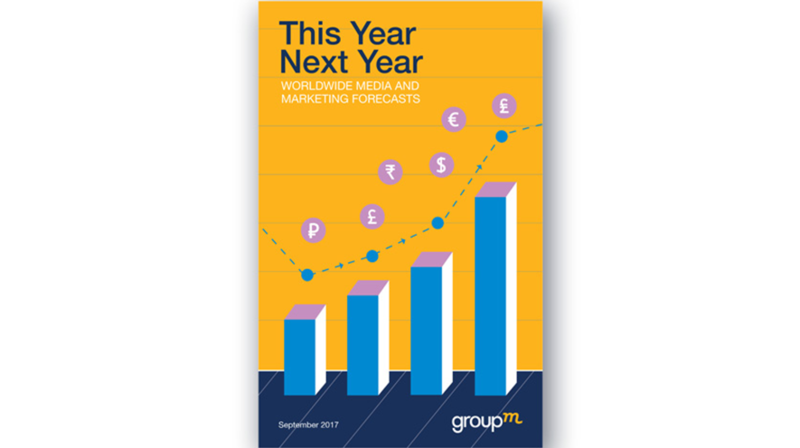 GroupM published their This Year Next Year September report prepared by GroupM’s Futures Director, Adam Smith, which outlines their 2017 global ad expenditure forecast. GroupM downgrades their initial forecast from 4.3% to 3.7%, and reveals the initial outlook for 2018. The report also includes eight country- specific tables which outline analysis of the media and marketing landscape in some of GroupM's largest markets. Should you have questions about the data, please contact Adam Smith (Adam.Smith@groupm.com). If you have questions regarding design please contact Elaine Stroumboulos (Elaine.Stroumboulos@groupm.com).